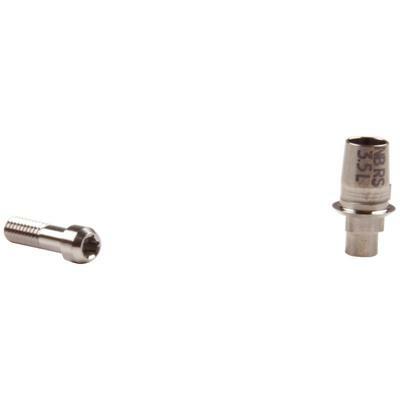 TiBase Kits, Nobel Biocare - SIRONA DENT SYS GMBH CO.
TiBase Kits contain a titanium base and an abutment screw. The base serves as a bonding platform for zirconium oxide ceramic mesostructure once it has been milled to specifications in a dental laboratory inLab unit. The abutment screw attaches the glued parts to the matching implant in the patient’s mouth.